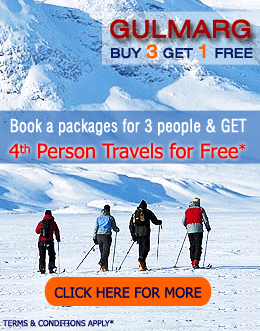 Skiing in Indian Himalayas can be fun as well as a challenge. 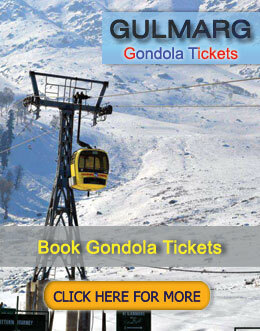 Travel Excellence offers a huge range of Gulmarg Skiing holiday deals and not all are available on-line.  Generally speaking the best prices are actually obtained by booking well in advance, especially on peak dates. 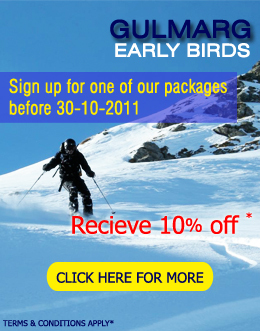 By booking early you will benefit from early bird prices with the addition of early booking bonuses. Having said that, deals always crop up from time to time and mid Winter offers clients some great reductions of price in booking early means you have the choice but booking at the very last minute takes advantage of "distressed stock" that needs to be sold to offset tour operator losses. However, this can be a dangerous game to play and many clients looking for late deals for peak dates often end up upset at the lack of availability and the higher prices then end up having to pay. 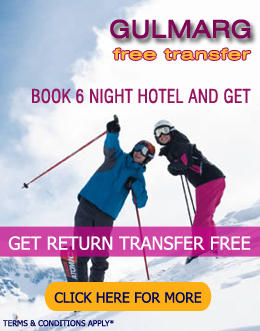 The golden rule is if you want to Ski in Gulmarg India then talk to Travel Excellence as we'll always keep you updated.